Wake to Make with Lilah Higgins. Lilah breathes life into a movement called Wake to Make, which brings together head, heart and hands of every Maker. In this episode of the Boss Mom Podcast, she shares her passion to see every person make something through her movement. She is passionate about the design work she does while loving on her two toddlers at home. Lilah’s Boss Mom journey, which includes her Wake to Make movement idea and visions for the future. Dana and Lilah talk about phases of business that relate to motherhood. Community and collaboration, which is vital to growing a business. Getting through days of overwhelm and what that looks like for Lilah. More about our guest, Lilah Higgens. Lilah Higgins is a branding designer based in Cody, Wyoming at the foot of Yellowstone National Park. When she’s not chasing around her toddlers like a crazy woman or spending time with her techie husband, she is working alongside amazing Makers by providing them with logos, branding, and design consultation. 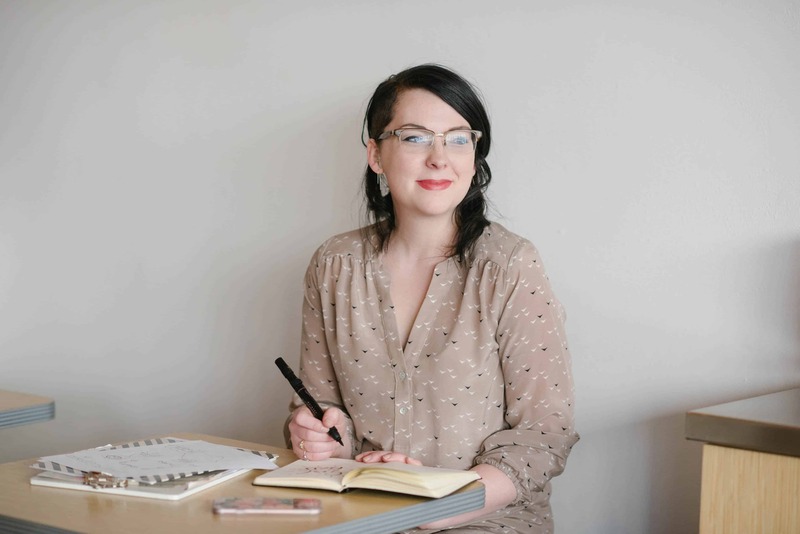 She creates at The Higgins Creative and loves coffee, filling her home with beautiful people and sharing the stories of Makers through handmade and fairly traded goods. She’s also the founder of the #waketomake hashtag on Instagram.